From the amusing Eye of the Tiber comes this species-ist hit piece. Why pick on trolls? Tifton, GA–Catholic troll Phillip Karabin, writing under the handle P90XcelsisDeo, has been patiently scouring the internet looking to passionately defend everything he holds dear, his friends are reporting. Sitting at his desk in his mother’s basement for the past seven hours, Karabin has settled on a Catholic Answers Forums thread titled, Are Altar-Girls Allowed by the Church? “This one’s right up my alley,” Karabin reportedly told his friends. “Now we wait…” he said, leaning back in his chair and rubbing his hands together before placing them behind his head. “It’s all he does,” lifelong friend Brian Reyes told Eye of the Tiber. “He’ll just sit there with his notes…old zingers and good come back lines he’s used on other people, and he’ll just wait and wait and wait until someone says the wrong thing. The man’s like a freaking sniper.” At press time, Reyes was in the process of writing a 3,000 word, scathing condemnation of the post-conciliar era, citing events chronicled on the news site Eye of the Tiber to prove his point. 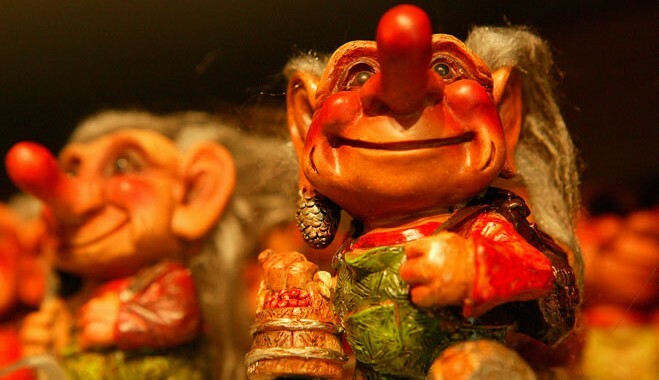 Perhaps we need stronger troll-control laws, but do we have to demonize them? This entry was posted in Lighter fare and tagged altar girls, satire, trolls. Bookmark the permalink. Sad, does he have a life? One of my favourite childhood tales was “The Three Billy Goats Gruff”. The troll got it in the end with cleverness. I have to admit, Father I’m not entirely comfortable with your insensitive villainizing of the demons. Perhaps we should all refrain from metaphysical bias? “Catholic troll” you say? Ha, that’s rich! Father, have you seen this site? (I must say that this particular stereotype of traditionalists as humorless has been abundantly disproven by Fr. Z’s denizens. I have rarely laughed as much as I do here. Many commenters have a great sense of humor. There are a few strident humorless types, but few and far between).